Languages available on installation: English, French, Czech, German, Italian, Polish, Romanian and Russian. 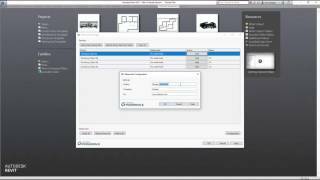 Watermark Manager PowerPack for Revit is a simple but powerful tool that allows users to securely tag and password protect self-created Revit Families with personal information. Multiple Families can be loaded from any destination folder and, after validating no previous watermarks exist, can have a watermark applied by adding the Author, Company and URL, before being prompted to add a password. This Author information is visible in the Family properties as text and can be used in a tag or schedule. The information can be modified by editing Family Types inside the Family editor but the original input can still be detected by “Watermark Manager”, requiring a password to change. Once watermarked your personal Revit Families can be distributed freely, safe in the knowledge that their owner can be easily identified. Visit our app web page for more information. This app literally just adds text to the built in comment, manufacturer and url parameters as a formula "=author name". You can see in the screenshot that the formula column is hidden from. The URL parameter can also not be defined by a formula which is why you can see in the screenshot used that it is just set as a value. All anyone needs to do to remove these is edit the family and remove the text. There is zero need for the password. Additionally, this is USD$120/yr, but you can get it included in the full "powerpack" addin for USD$140/yr. So going by this, Graitec should be offering the rest of the powerpack, without this useless watermarking tool for a cool US$20! You're better off using non-user-editable shared parameters with a much more useful tool like RTV shared parameter manager so the "watermark" is at least non-editable, but still nothing stops the end user from deleting the parameter from the family. Good morning and thank you for your feedback. Yes it is true that the text can be edited or deleted. In case this happens, the watermark won’t be visible/or appear modified in the family, but the PowerPack is able to see the original input. The user still needs a password to modify it through “Watermark Manager”. The intent for this tool is to add Author/Company/Url information to the family and verify or modify it through the same feature.